Be the first to share your favorite memory, photo or story of Joyce Ann . This memorial page is dedicated for family, friends and future generations to celebrate the life of their loved one. Joyce Ann (Tester) Shorter, 75, of Staunton, passed away Sunday, October 21, 2018 in the Shenandoah Hospice House in Fishersville. Mrs. Shorter was born on September 19, 1943 in Princeton, West Virginia, a daughter of the late Albert and Nora (Sandy) Tester. 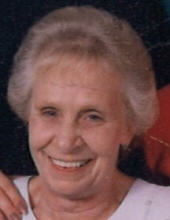 Joyce enjoyed playing Bingo and was a beloved Mother and Grandmother. Mrs. Shorter was the last surviving member of her immediate family. Surviving is a son, Basil Shorter of Mt. Sidney; two daughters, Connie Fahey of Staunton and Kathy Selmon of Crimora; eight grandchildren, M. Travis Wimer, Clinton Wimer, Brittany Shorter, Leland Shorter, Shelby Humphries, Shannon Shorter, Skylynn Wimer, and Nathan Selmon, Jr.; and two great grandchildren, Daegon Wimer and Laniee Humphries. The family will receive friends from 6:00 p.m. to 8:00 p.m. Wednesday, October 24, 2018 in the Coffman Funeral Home and Crematory. A private graveside will be conducted in Oaklawn Memory Gardens. To send flowers or a remembrance gift to the family of Joyce Ann (Tester) Shorter, please visit our Tribute Store. "Email Address" would like to share the life celebration of Joyce Ann (Tester) Shorter. Click on the "link" to go to share a favorite memory or leave a condolence message for the family.